Brian Courage plays his last sets as a MN resident Monday night at the Icehouse! This week we are in the midst of the State Fair, the start of the school year in most area districts, and the end of the vacation season for most Minnesotans. That means there's a boom in street repair, garden harvests, and trips to Target. The only way to manage all these "countdown to winter" activities is to set aside time for some live music. And there's plenty to choose from --even some jazz at the State Fair! This week we say good-bye and good luck to one of our honorary Minnesotans who managed to either start up or become an essential part of numerous bands in his two years on the local scene (Brian Courage); we celebrate the release of a guitar duo CD featuring another transplant (David Martin) with multiple gigs; we have one more opportunity to hear an ensemble that keeps the Twin Cities on the international jazz map (Phil Hey Quartet); and there's a lot more to keep our ears well oiled as we head into the Labor Day holiday weekend. And if you are heading to the Chicago or Detroit Jazz Festivals next weekend, local music this week will help rev up your jazz motors. Friday, August 22. 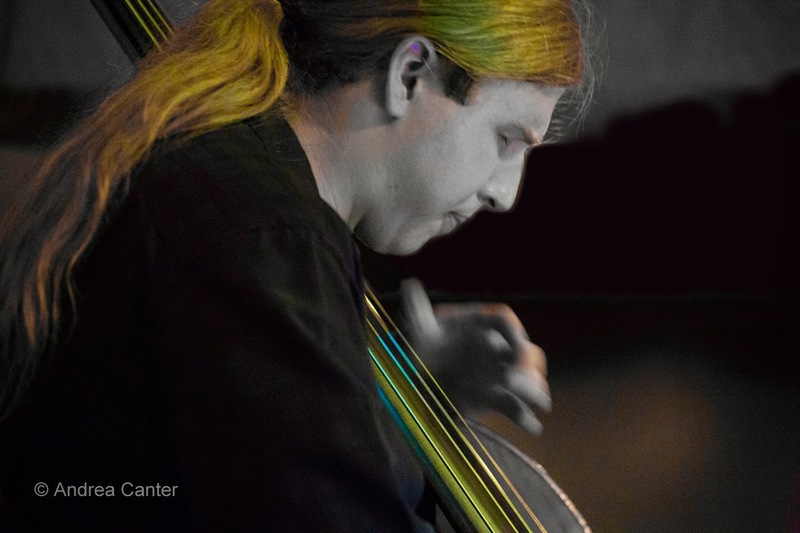 Did you hear the Phil Hey Quartet last Monday at the Icehouse? If so, you want an encore. Did you miss it? Then surely you don't want to miss this veteran band again! 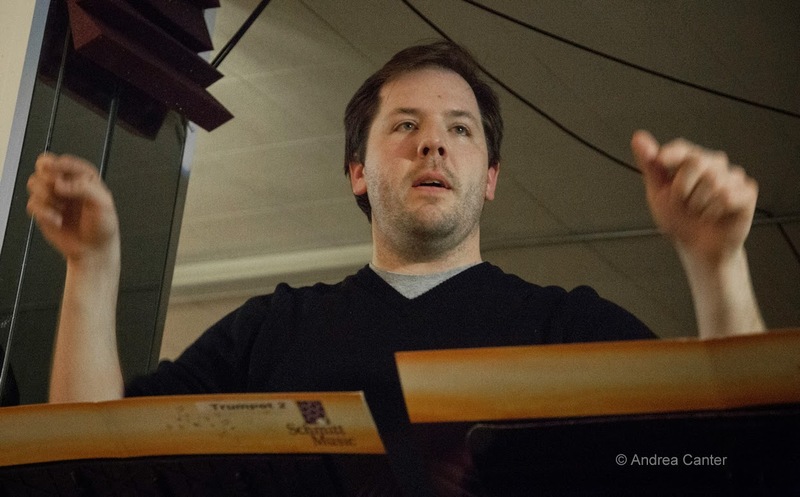 On the Bridge Series at Jazz Central tonight, you not only get a couple sets from one of the truly great quartets in modern jazz, you can also stick around for a one-of-a-kind late set with former resident tubist Stefan Kac. 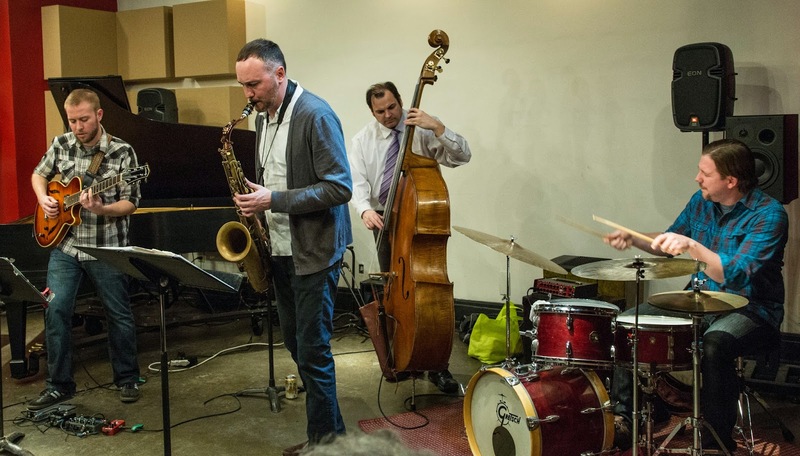 Currently based in Los Angeles, Kac gathers up some old pals to play some new music -- Geoff Senn, Shilad Sen, and Pete Hennig as "Band on the Run." The Black Dog has seldom presented a jazz vocalist, but why not start with Maryann Sullivan? 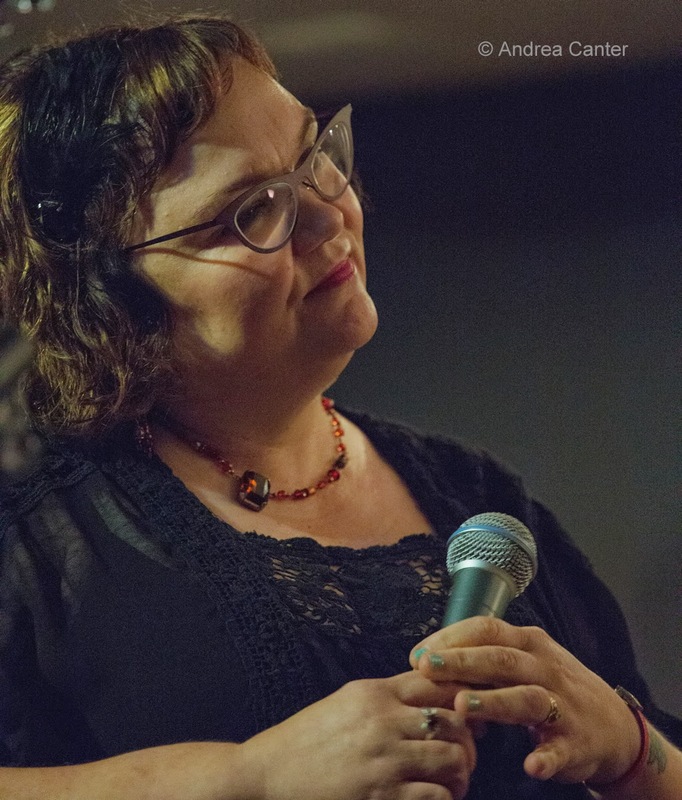 Maryann with guitarist Robert Bell, clarinetist Tony Balluff and bassist Jim Chenoweth bring a new slant to Friday night music at the Dog, featuring songs from the trad and swing eras as well as some of Maryann's favorites. Saturday, August 23. Big music in small places-- and for this Saturday afternoon, it's playful music in an even more playful setting as Lulu's Playground hits the patio at the Fun Art Gallery in Stillwater. Just the instrumentation makes you smile-- accordion, cello, trumpet and guitar, with Steven Hobert, Cory Grossman, Adam Meckler and Ben Abrahamson. In case of rain, the music moves into Tim Nyberg's studio/gallery which resembles an oversize garage with wall to wall whimsical paintings -- seems like a perfect fit for Lulu's music! Sunday, August 24. 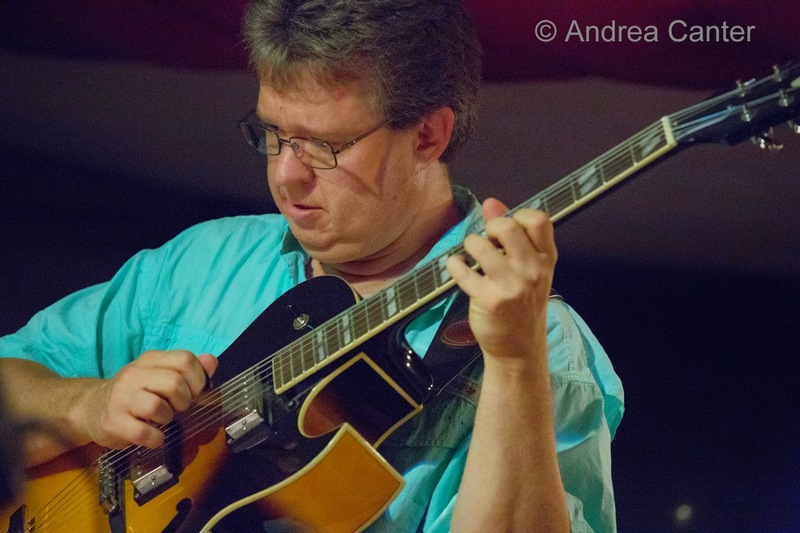 Alexis Bailey Vineyards has hosted "Jazz in the Vineyard" on Sundays throughout the summer, and this afternoon you can enjoy guitarist Pavel Janey and the Talking Strings (violinist Gary Schulte and bassist Dan Weston). Almost any tune is fair game for their jazz/global music interpretations. Monday, August 25. It's an all-star night on many levels. You can start your evening at Jazz Central where the Jazz Central All-Stars make their first appearance on their home turf. Organized with support from Jefferson Lines and the Twin Cities Jazz Festival, this sextet of JC regulars (Dave Graf, Doug Haining, Zack Lozier, Tanner Taylor, Graydon Peterson and Mac Santiago) has toured throughout Greater Minnesota this summer and helped open the festival in June with a gig in Highland Park. 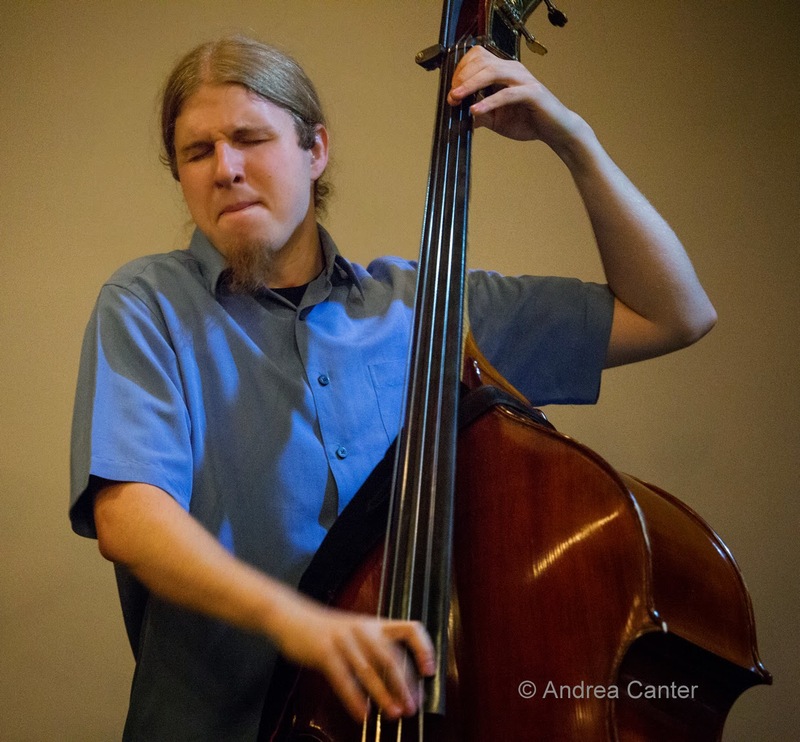 Since Tanner moved to Iowa last month, this will be his first return visit to Jazz Central. 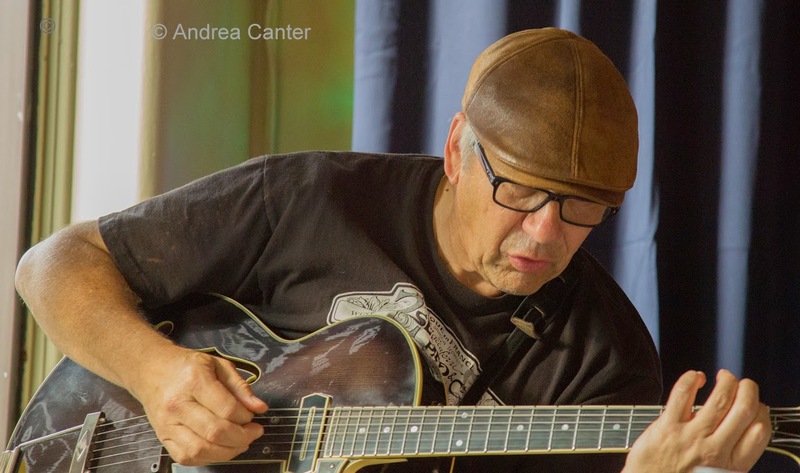 JT's Jazz Implosion at the Icehouse will be a triple-header tonight, starting a little earlier than usual (9 pm) with the first of several CD release gigs from guitarists David Martin and Portland, Oregon guitarist Mike Doolin. The recording, Tough Commute, would help ease the frustration of any commute! 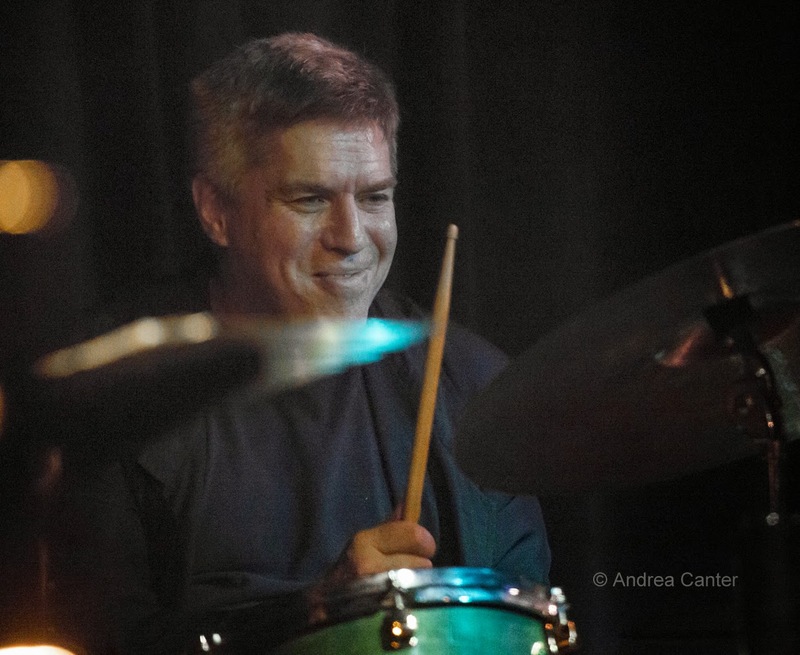 Up next is the two-part Brian Courage Farewell Party, with the first set featuring Brian with Mike Lewis and JT Bates, and the quartet Courageous Endeavors coming on for the late set, with Joe Strachan, Nelson Devereaux and Miguel Hurtado. And speaking of "courageous endeavors," be sure to come hear Brian tonight on his last local gigs before heading to the Big Apple. 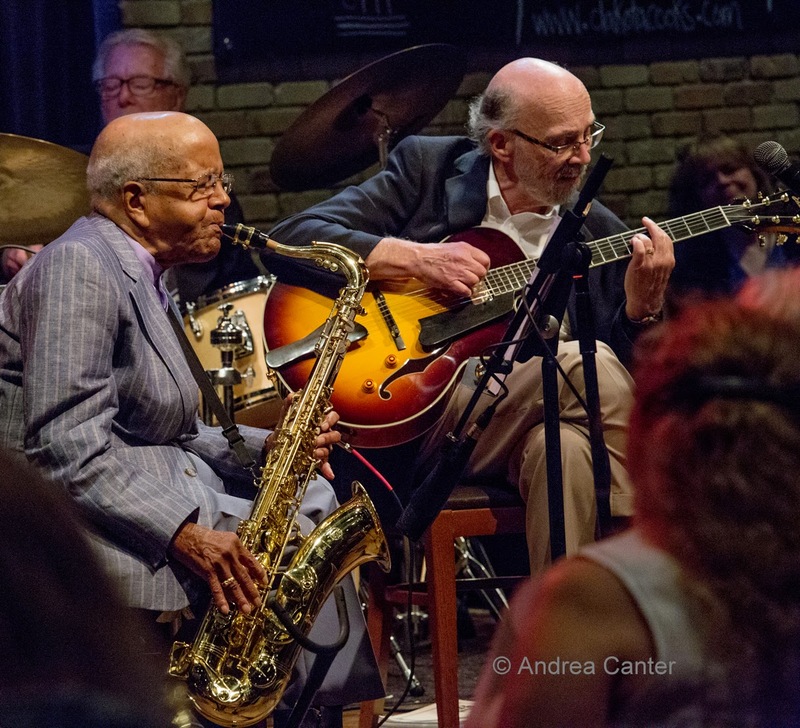 We know he will do fine in New York -- we just hope he comes back now and then as he has made a significant impact on Twin Cities jazz in the two years he has spent with us. Tuesday, August 26. 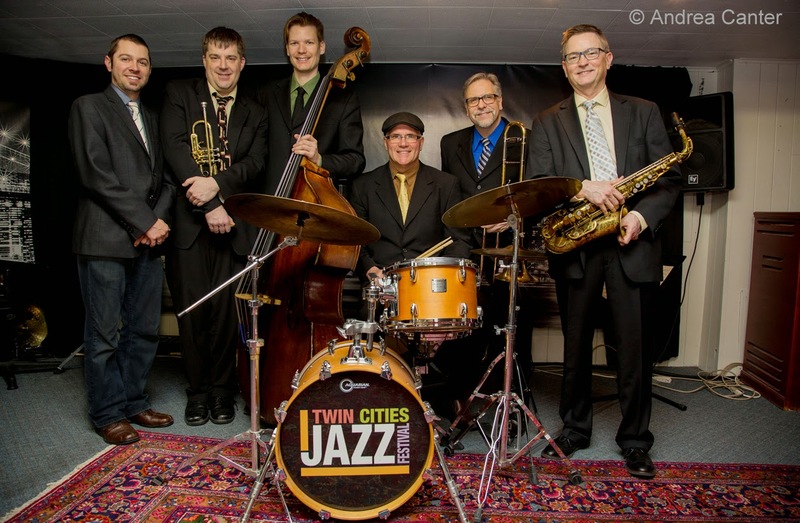 Under the leadership of trumpeter Geoff Senn and drummer Mac Santiago, the Twin Cities Latin Jazz Orchestra launched early in 2014 and has been holding down a monthly slot on the Jazz Central Big Band night ever since. 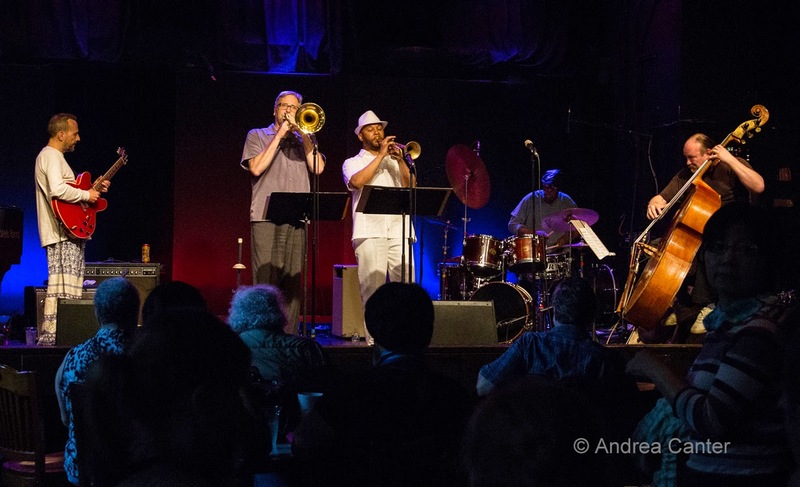 They also performed at this summer's Twin Cities Jazz Festival, showing off a corps of the best of local jazz artists. Not much room to dance at Jazz Central-- but plenty of up-close-and-personal opportunities to appreciate Latin jazz. Wednesday, August 27. 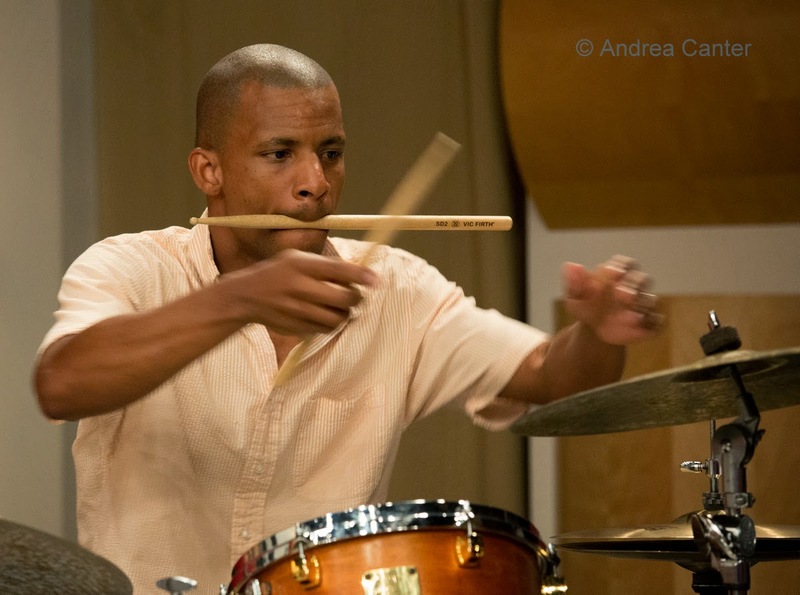 Usually heard at the Black Dog, tonight percussion monster Davu Seru brings a quartet to the New Music night at Jazz Central, featuring Scott Fultz, Tom Reichard and Josh Granowski. Seru is both an aural and visual delight to witness as he flails at the drums and whatever else is in reach. Thursday, August 28. 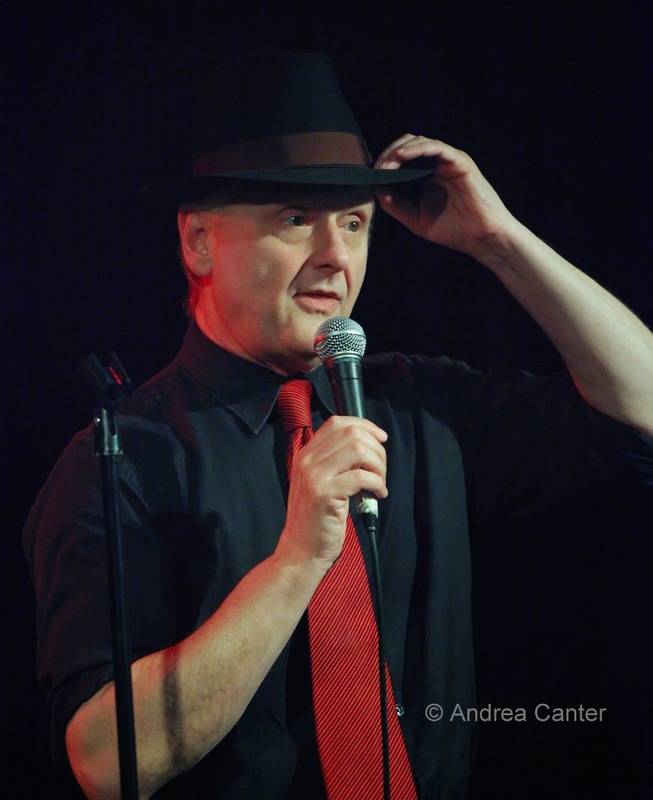 Two popular artists on both sides of the river tonight: Veteran crooner and vocal jazz encyclopedia Arne Fogel takes over Vocal Jazz Night at Jazz Central, bringing his interpretations of Bing, Frank and more. This is a great chance to hear him in an intimate space filled with folks who listen!! 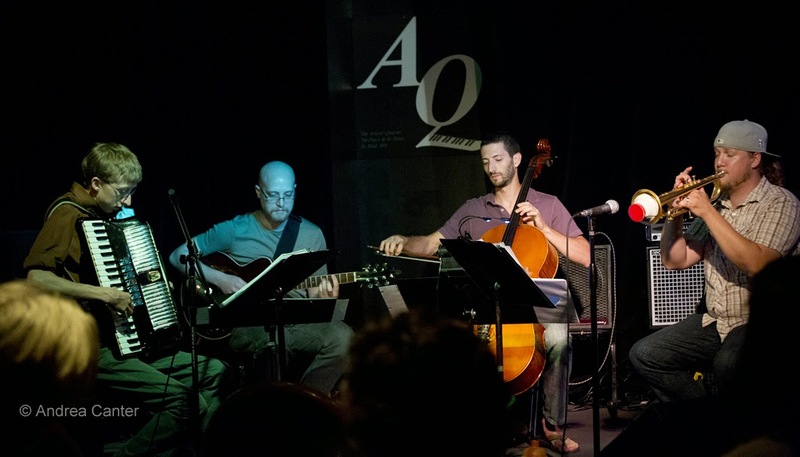 Over at Studio Z, the Atlantis Quartet (Zacc Harris, Brandon Wozniak, Chris Bates and Pete Hennig) fills the slot for the All Originals concert series, performing original compositions, both new and some favorites from past recordings. It's a rather odd spot for music, perhaps, but the Khyber Pass Cafe near the Macalester campus is serving up more than korma and chai. Thursday nights, the dining room becomes a small jazz club with some of the most inventive performers in town. 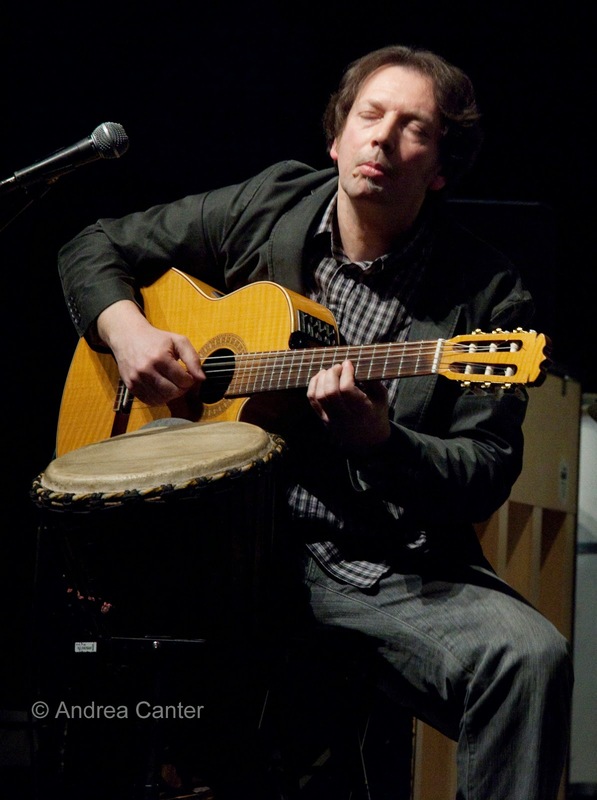 This week, guitar magician Dean Granros is featured-- a rare occurrence these days regardless of venue.